Technology | Hungerford & Terry, Inc. In-House Laboratory analysis of water samples and computer modeling help determine the system you require. 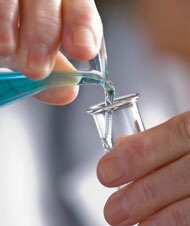 To most efficiently meet your specific water treatment needs, Hungerford & Terry has its own in-house laboratory. By using this facility, we can design the system that’s exactly right for your particular applications. We can get a good start by simply bringing to bear nearly a century of experience dealing with the widest range of water treatment challenges. But that is just the beginning. 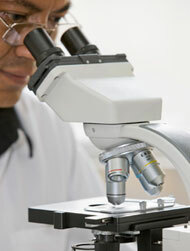 At the laboratory, we conduct a thorough analysis of your water samples to see exactly what problems you are facing. We then use computer modeling to determine what we believe are the treatment methods with the highest probability of success in dealing with your particular situation. At that point we have a good hypothesis of what it is going to take to solve your problem. Finally, we will test our solution with a bench-level or field pilot plant study. When a solution proves out, we are ready to engineer a full-size system that will work for you. Proven design ensures easy to operate and maintain systems. Applying physical testing, computer analysis, and nearly 100 years of solving water treatment challenges, H&T engineers the right water treatment system for your requirements. Furthermore, we are constantly searching for effective, innovative technologies and methodologies that we can refine and adapt for our customers. We engineer the system and manufacture the equipment, delivering solutions that go far beyond minimum performance standards, that are easy to operate and maintain, that are built of the best materials, and that will give decades of superior, trouble-free performance. Precise and convenient controls yield built in operating ease. The best engineering encompasses ease of operation. Hungerford & Terry builds convenient controls into your system right from the start. We design and build our own automatic and semi-automatic control systems. These systems are designed to ensure that you get the most from your water treatment system with the greatest possible convenience.